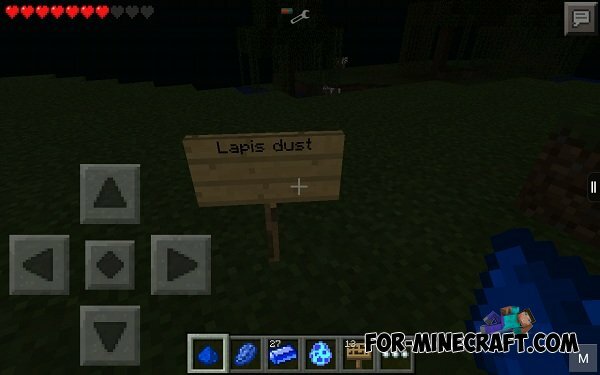 The mod will add to the world of Minecraft PE 6 absolutely newest items, among them - Lapis - (ore to craft blue armor). Blue armor protective properties identical diamond armor, but apparently armor lapis attractive, because many may already be tired of constantly running in the diamond armor. Besides armor you get a sword lapis, too blue to the properties of the diamond sword. Craft blue armor is exactly the same craft diamond, but instead of diamonds, we will use lapis. Craft armor you do not need, if you have TMI, in its menu you will find all the items are already installed.